With the multiple schools of thought on which is the best way to read the tarot, it’s a good idea to occasionally turn to review the birth of the main systems and move forward with an analytical eye to find your groove from there. This article is by no means meant for the new tarot reader alone, as seasoned readers might find a tidbit or two to accentuate their already-established reading styles, to gain keener access into how spirit speaks through the cards. It’s interesting to at all find the openly heated debated online on what is correct and what isn’t correct. In this day of mass communication, tarot reading is under no less scrutiny than modern physics, whose ideas appear radical at first yet prove themselves to have validity over time, which is a unique progression in itself. As commentary on the various schools of tarot, it’s a wonder as to why any one reader claims the authority to pan other readers for their practice: after all, aren’t we receiving our information from a higher source? Isn’t the soul’s evolution bringing reader to querent with the natural law of divine timing? Some relevant questions were put to professional readers from various schools, so there is now a subjective record of objective tarot: as it is, so shall it be. The material presented in this article will cover three schools of tarot thought in an informal and familiar way, without preference or endorsement. Excerpts of interviews done specifically for this discourse might shed light on some differences in opinion; let the discerning minds of professionals come forth to share and—of course, above all—practice safe tarot! 1926, apparently coined by South African Gen. J.C. Smuts (1870-1950) in his book “Holism and Evolution” which treats of evolution as a process of unification of separate parts; from Greek holos “whole” (see safe (adj.)) + -ism. For an energetic peak under the hood, holistic readers receive your questions, connect with their spirits of choice, and take it from there, personalizing the reading with journaling or meditation or any means that serves the question at hand. Many times the information comes in metaphorical images and needs the querent to shed light on what’s being brought through the cards. As an example of what this means, take a random card from any creative deck, including the tried and true standard versions, and apply the imagery to the querent’s situation. The possibilities for particular and super clear results are mind boggling, and that’s on top of what is considered to be the general meaning of the card. Now add other cards to the story and one really gets into the realm of interpretation, and the lens (the tarot card reader’s intuition) for information becomes sharper and increasingly lucid until the truth is discovered and there’s a sense of progression. “People who know me through my identity as a corporate lawyer and who also learn of my tarot practice always ask me how I got into tarot in the first place. Wouldn’t a person who grounds all of her analyses on provable facts and cold logic be turned off by divination frou-frou like tarot? No. Tarot is a psychological tool. It helps us tap into our subconscious. Through symbols and universal archetypes, we borrow the imagery of the tarot cards to help us unlock the parts of our minds that already contain the answers. In the tarot deck, the minor arcana might or might not have been showing imagery; however, the major arcana are generally showing mythological, spiritual, and local cultural or abstract imagery. “It began its life as a game with no purpose beyond providing mental stimulation. It contained no esoteric wisdom, could provide no spiritual advice and gave no clue as to how to conduct one’s life” Farley (2009). Contemporary traditional tarot has become much more common in its belief that it was designed for cartomancy, which has also been the basis for traditional tarot. A man over 35, with sandy, dark blonde or light brown hair, with brown, blue or hazel eyes. Usually a family member or other loved one. Paternal and family-oriented. A man over 35, with red or light blonde hair with blue, green or gray eyes, Usually a wealthy man in an authority position. A man over 35, with dark brown to black hair, and dark brown eyes. Usually a widower or divorced man, or a man from a foreign country. Ambitious and powerful, can be arrogant and deceptive. A woman over 18, with sandy, dark blonde or light brown hair, with brown, blue or hazel eyes. Usually a family member or other loved one. Maternal and family-oriented. A woman over 18, with red or light blonde hair with blue, green or gray eyes, Usually a wealthy woman in an authority position. A woman over 18, with medium or dark brown hair, with brown, blue or hazel eyes. Usually a business woman or social butterfly. A woman over 18, with dark brown to black hair, and dark brown eyes. Usually a widow or divorced woman, or a woman from a foreign country. Ambitious and intelligent, can be cold, calculating, or spiteful. The twenty-two trump cards that distinguish a tarot deck from a regular pack of playing cards might have been the whim of a fantastic storyteller (Farley 2009; Pratesi 1989), and, as for when the tarot started to represent as a forecasting technique or oracle aid, no clear references until the middle of the eighteenth century (Dummett 1980). 1. Describe what attracted you to the traditional tarot school of thought? How do you see this fitting in with your long-term practice? I am unfamiliar with “the traditional tarot school of thought.” Since Tarot was originally a card game and only began to be used for divination in the late 18th century, I am not sure if you mean an historical approach or a de Gébelin/Mellet/Etteilla tradition, or the French occult/Marseille tradition, or the Church of Light/Egyptian tradition, or the Golden Dawn tradition (with its Thoth, Waite-Smith, and BOTA variations), or even the more modern “feminist tarot” traditions or the newest “Angelic” tarots. 2. Walk us through your definition of traditional tarot. Tell us about the most important experiences you’ve had that would highlight your reason to choose traditional tarot over other disciplines. I do not have a definition of “traditional tarot” other than it involves a deck of either 78 or 22 cards (with some very minor variations) that include a set of 22 illustrated Trumps (also called Major Arcana). I am most familiar with the Golden Dawn Tarot system and its variations, and mostly use the Rider-Waite-Smith Tarot deck, but I also read in a therapeutic style based on the work of Carl Jung and can use many decks including the Marseille and older Italian styles. I have studied all the other “traditions” I mentioned above and am constantly expanding my knowledge-base by learning and using things I’ve learned from all sources (Tarot and otherwise). I also trust in the educated intuition I’ve developed over 50 years of working with the Tarot. I do not profess to read Tarot as a psychic – but that’s just me. 3. What do you see as traditional tarot’s strengths? How do you think traditional tarot helps you improve your skills as a reader? Again, I’m not sure what you are looking for. I personally find the Golden Dawn correspondences to astrology, Kabbalah and numbers valuable but these only go back to the late 19th century. I also value allusions to archetypal symbols and myths ala Jung and Campbell, and I gain depth from my studies of High Gothic and Early Renaissance allegories and historical materials. What most helps me improve my skills as a reader is personal insight and self-development, learning from other Tarot readers, education of all kinds, and practice, practice, practice. 4. Do you stick to using this school exclusively or do you ever branch out into other reading arts such as oracle cards, astrology, or chiromancy, etc.? I am also an astrologer, although Tarot is my main tool. Over the past 7 or 8 years I’ve studied, read and taught the 36-card Lenormand deck. On rare occasions I’ll use other cartomancy decks and a few other “oracles tools” like the Medicine Cards, Destiny dice and a couple more. I also sometimes use a pendulum or the I-Ching. I don’t read palms. 5. What are your needs from a querent, and is there anything they need to know before coming to you for a reading? I want a querent who personally wants to have a Tarot reading (even if it is just out of curiosity). My ideal querent is not looking for specific predictions but rather personal insight, goals clarification and options, and who appreciates the question format: “What do I most need to look at in my life right now [around…],” although this is not required of them. They need to know that my readings are not usual in that I have them do a lot of the work. I characterize my readings as “interactive, transformational and empowering”. The second two items can only arise within the querents themselves in that I act as “midwife of the soul” assisting them in bringing their own wisdom to birth. I try to make these things as clear as possible and that we agree on this approach before agreeing on a reading as I know that my reading style is not for everyone. I am more than willing to refer them to a good predictive or fortune-telling style reader if that will serve them better. 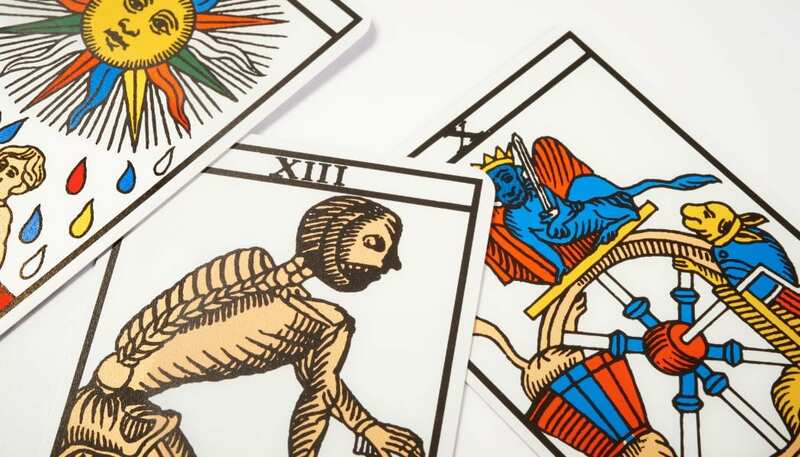 Dozens of different styles comprise this very wide-ranging title for what will remain the third category in this article on tarot schools. No study of occult philosophy is possible without an acquaintance with symbolism, for if the words occultism and symbolism are correctly used, they mean almost one and the same thing. Symbolism cannot be learned as one learns to build bridges or speak a foreign language, and for the interpretation of symbols a special cast of mind is necessary; in addition to knowledge, special faculties, the power of creative thought and a developed imagination are required. One who understands the use of symbolism in the arts, knows, in a general way, what is meant by occult symbolism. But even then a special training of the mind is necessary, in order to comprehend the “language of the initiates,” and to express in this language the intuitions as they arise. There are many methods for developing the “sense of symbols” in those who are striving to understand the hidden forces of Nature and Man, and for teaching the fundamental principles as well as the elements of the esoteric language. The most synthetic, and one of the most interesting of these methods, is the Tarot. In its exterior form the Tarot is a pack of cards used in the south of Europe for games and fortune-telling. These cards were first known in Europe at the end of the fourteenth century, when they were in use among the Spanish gypsies. (It is highly unlikely that gypsies in Spain used Tarot cards in the 14th century, since regular cards were only introduced into Europe at this time, and the Tarot did not appear until about a century after the recorded use of playing cards—Donald Tyson, ed.). 1. Describe what attracted you to the esoteric tarot school of thought? How do you see this fitting in with your long-term practice? When I was 12, I discovered Aleister Crowley’s book Magick in Theory and Practice. It immediately felt like the “real” magic I had been looking for. From this book, two central ideas grabbed me: we can call spirits to speak with, and we have a reason for being on earth that we could know. Having not been raised with religion or biases against magick I immediately dove into reading this book, trying to understand what he was getting at. I spent the better part of the next 20 years exploring and playing with the various elements of the western mystery traditions. Qabala, alchemy, astrology, and the art of summoning spirits kept me busy in my own personal practice during this time. Philosophically this approach set me on a road of searching for personal understanding that continues to this day. In my practice I discovered many things were possible that others didn’t believe, like speaking with angels. I also learned how to control and direct my own consciousness for practical or spiritual ends. I still work daily with spirits in both my tarot reading and magickal practices to aid myself and clients who come to see me. 2. Walk us through your definition of esoteric tarot. Tell us about the most important experiences you’ve had that would highlight your reason to choose esoteric tarot over other disciplines. Reading cards came after I had already stuck a toe in the esoteric river. In the pre-Internet days of my youth I don’t think it even occurred to me that there was another approach to take. So for me, a tarot that was built on mythology, hermetic philosophy, astrology, and alchemy was the only way I was aware it worked. Later when I stepped into the wider public online world of tarot I was quite surprised other systems existed. Many readers struggle with the idea of determining a timeline for events in their readings. For me the integration of astrology and cards provided a clear approach that was clear and accurate. I would often say to people “This card speaks of beginning of Sagittarius when you’ll get a new job” which they’d come back and confirm was right later on. On a deeper level the blending of mythology and hermetic philosophy provided practical approaches to delivering messages through stories. Being able to look at the Lovers card and know it is sometimes related to the story of Perseus rescuing Andromeda from the Kraken makes a memorable story for the querent to hold on to. It also created inroads to psychological conversations without scaring the querent away. If they were playing the hero was it helpful? If they were Andromeda tied to the rock why were they a victim? Or if they were the Kraken why did they act like a monster? It is often easier for people to talk about issues through symbols than in first person narratives. In doing so, the querent reveals more about what is going that they are not yet ready to admit which allows for even deeper conversations when appropriate. 3. What do you see as esoteric tarot’s strengths? How do you think esoteric tarot helps you improve your skills as a reader? A lot of modern science suggests intuition functions by starting us with better options first if we are well versed in a topic. Esoteric card reading works with this approach by building a broad web of meanings, symbols, and stories. When you have studied the western mystery traditions for a while, the ideas that surface are usually profound and easy to explain. Esoteric card reading also allows for more synchronicity because we have a deeper well of ideas and approaches to draw from. For those, like me, who also practiced practical magick, it opens up a wide range of magickal solutions to the problems in a reading. Most readers know people come for love or money readings more over any other topic. Changing a person’s luck, helping them get over an old lover, or getting a new job all can be aided by prescribing ceremonies to them. These might seem simple but with a knowledge of the when-and-how of magick even simple rituals can be significant in a person’s life. My esoteric work helped developed my psychic elements. I learned to see and hear spirits, read auras, and see the future. All of these energetic pieces add other layers and dimensions to reading the cards. Knowing a system you can default to when you aren’t getting an intuitive hit is also tremendously useful. It prevents getting lost and floundering in the readings. Over the 30 years I’ve been reading the cards I’ve explored many tools. All of them come into my readings when I think it is helpful. I’ve created my own oracle, The 90-Question Deck, which I use often to start a reading or help a querent get clear about their questions. I’ve tried many decks, I Ching, Mongolian bone oracles, and more over time. I also often use a pendulum, or other tools, to clarify issues that are unclear with my guides in a reading. I stick with my trusty Tarot de Marseille these days. Its simplicity reinforces my own approach of being practical with the cards, and lends itself to both psychological and predictive approaches. People come to me because of how compassionate and approachable I am. I work with them from where they are at and don’t judge. If they are sad and in tears that is welcome. If they are Catholic, or Buddhist, we will work in their language. My sessions help clarify what they need to know. It is part of the session to talk openly about why they are in for a reading. People do come to me for my magickal practices and knowledge. They rarely hear any of it in esoteric terms. I’ve found that the language of alchemy, or hermeticism, isn’t usually very accessible to people. So I speak in plain words, often using their own language, to convey what is coming up in the cards.